Hogue took up singing as a teenager and dreamed of becoming a Broadway star. She studied theater in Boston, but that didn’t work out. So she moved to Chicago to be a stand-up comic. That didn’t work out either. Then she got fired from her job and sunk into depression. But, out of these failures, she wrote a song, called “Heels.” It’s super catchy. She posted it on Soundcloud and Instagram. Lots of people liked it, including her family back in New Hampshire. At that point, she realized she really did want to make music, but didn’t have the money or support to do it in the city. So she moved back home. 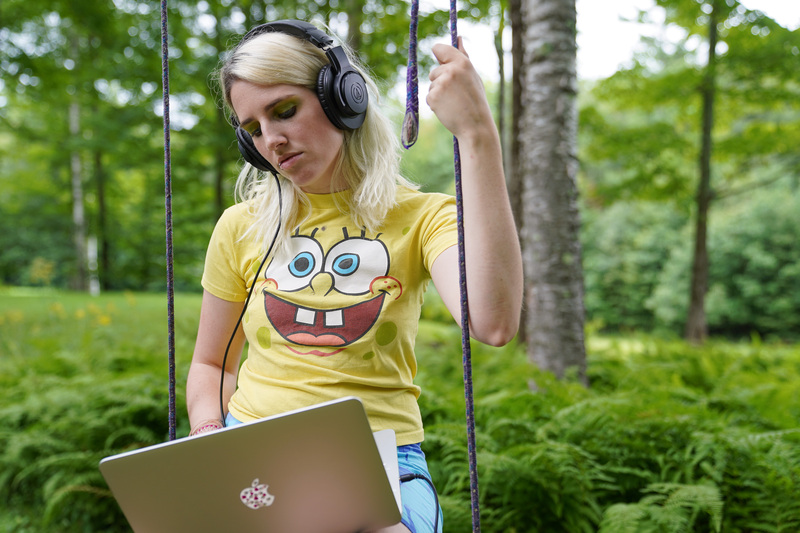 She set up this studio and taught herself how to record and produce her own tracks. The style is a mixture of musical theater, absurdist comedy, and pop. For the record, there were no cheerleaders at her high school. Still, the teenage experience looms large in Hogue’s music. 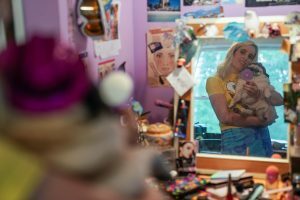 And in high school, Hogue could see her peers every day. Now, it’s not so easy. Most of her friends have moved away. She’s isolated. So she goes online, where she’s built an active following on Instagram. She’s shared her music there, which actually caught the attention of an indie label. Now Hogue has a deal with Father/Daughter Records. It’s a huge step, but still no guarantee that she’ll be a star. So she keeps hustling. One of her biggest supporters is Matt Mazur. He’s booked her at a few local shows. 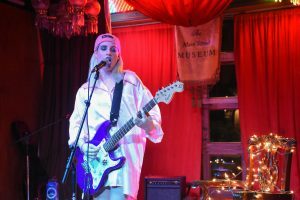 He’s seen hundreds of artists play here, but when he saw Sir Babygirl take the stage for the first time, she stood out. 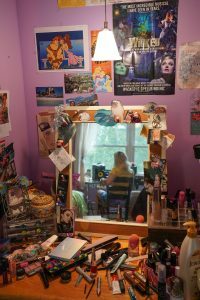 “You can really tell that Kelsie wanted to make that leap and has been putting a lot of time and effort into preparing for that. It’s so magic to see it happen,” says Mazur. 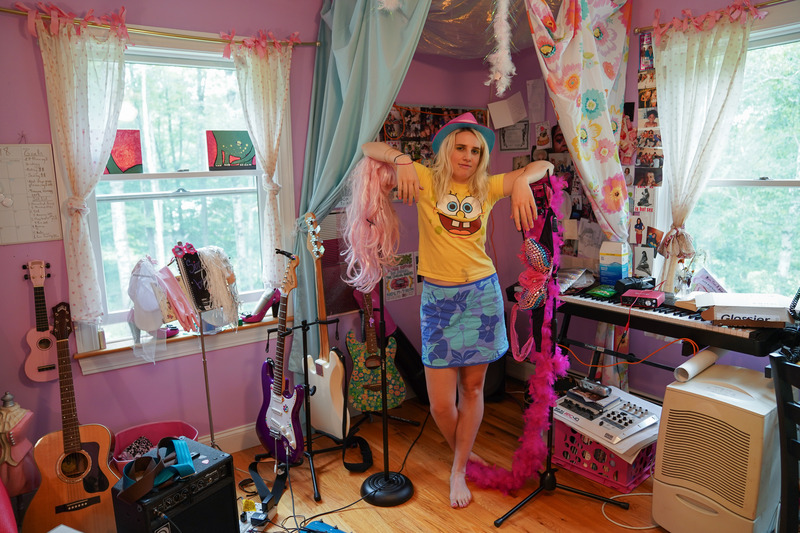 Tonight, in front a few dozen people in small-town Vermont, Sir Babygirl is still dreaming of becoming a queer pop idol. But, in just a few months, she’ll play for packed crowds at the country’s biggest music showcase, SXSW, with two backup dancers by her side.